The U.S. Senate primary in Alabama among Roy Moore, Luther Strange and Mo Brooks was nothing more and nothing less than what is playing out within the Republican Party nationally. The daughter of former President George W. Bush will deliver the keynote address at a fundraiser for Planned Parenthood. Hobby Lobby President Steve Green has reportedly sought the help of former President George W. Bush with the Green family’s Bible museum project. 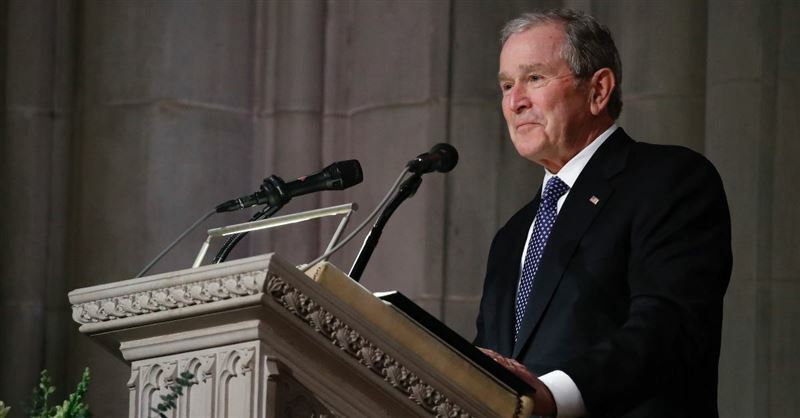 Former President George W. Bush spoke Thursday at a fundraiser for the Messianic Jewish Bible Institute, a group that promotes the idea that salvation through Jesus is consistent with Jewish teachings.